A week ago I went up to Springfield to do my income tax with my estranged husband and then afterwards my daughter and I went to the mall. Always before when I went to Springfield and saw my husband, I always felt depressed afterwards and angry about how things turned out between us. This time when I saw my husband prepared myself more than I usually do. I bought a new outfit and paid special attention to my hair and makeup. The fact that I am maintaining weight loss and continuing to become healthier looking, added to the confidence that the hair and makeup gave me. I felt good, and I looked good, but my husband just looked older. I even told him as much. I also told him that I had to live a philosophical idea that he taught me. “The best revenge is to live well.” He just laughed. I no longer feel intimidated by him, and that is good. I don’t feel depressed either. I am still angry though, but at least it is a step in the right direction. After my daughter was out of school, she and I went to the mall and she helped me with shopping. Shopping is something that my daughter always enjoyed, but I have not had a chance to do much of for a long time. Because I was staying home and taking care of the house and the kids, my husband always made most of the money and because of that, I was highly discouraged from spending it. I was always very frugal, but when I was with him, I was denied a lot. Our daughter got whatever she wanted. He didn’t think I deserved anything. Anyway, now I have to relearn to allow myself the pleasure of having nice things. My daughter Boni who is a very mature thirteen, took me under her wing and started showing me what she liked and what she didn’t like. She doesn’t want me to dress like a teenager, rather she wants me to dress like a well-dressed mature woman. She is becoming my clothing and makeup coach. I got my ears re-pierced, I got some under-eye cream. I got a new pair of shoes, some socks, and a necklace. More important than the getting things though is that she and I are connecting on a level that we have not connected before. We both want to travel. She is taking Spanish in school, and I am learning Spanish online. We thought it it would be cool if when we both know enough Spanish that we go around the mall or whatever speaking Spanish. We thought it would be really weird for two women of Northern European blood (English, Norwegian, Swedish, Danish ancestry) to walk around speaking Spanish to each other. I am glad that I am making it a priority to add quality to my relationship with my daughter. When I was with her, my attention was on what we were doing. I was in the moment, I didn’t worry about what I had to do or the fact that I had to drive home. I wasn’t on my phone, texting or on facebook. I was shopping with my daughter. Boni was also valuing the time we spent together in that she did not text one of her friends the whole time. Boni and I are planning a trip to Branson over her spring break next month. While there, of course we are going to go shopping as well take in a couple of shows. Sometimes life isn’t about getting work done. Sometimes its about having fun, but I think life is always about building relationships. My husband told me that his girlfriend is moving in next month. Strangely, I’m okay with that because I am beginning to realize that I can do so much better than an selfish old truck driver. 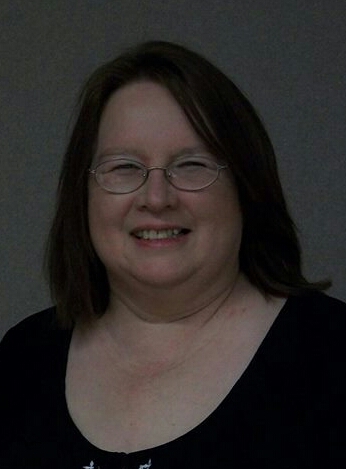 She is also the author of historical fiction series The Locket Saga. Her upcoming book A Coward’s Solace will be available soon. Sounds to me, Donna, that you are moving on quite nicely. I’m happy for you. Thanks, Bill, it means a lot for you to say so.